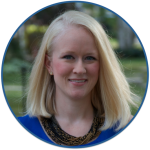 The Perfect Novel Unit | Kristen Dembroski, Ph.D.
Have you read the novel Spite Fences? I didn’t think so. It is a wonderful novel for 8th through *9th graders, but it is so often overlooked! (*Note: Scholastic says that this novel is geared for 6-8th grade interest levels, but I disagree based on the content and figurative language). 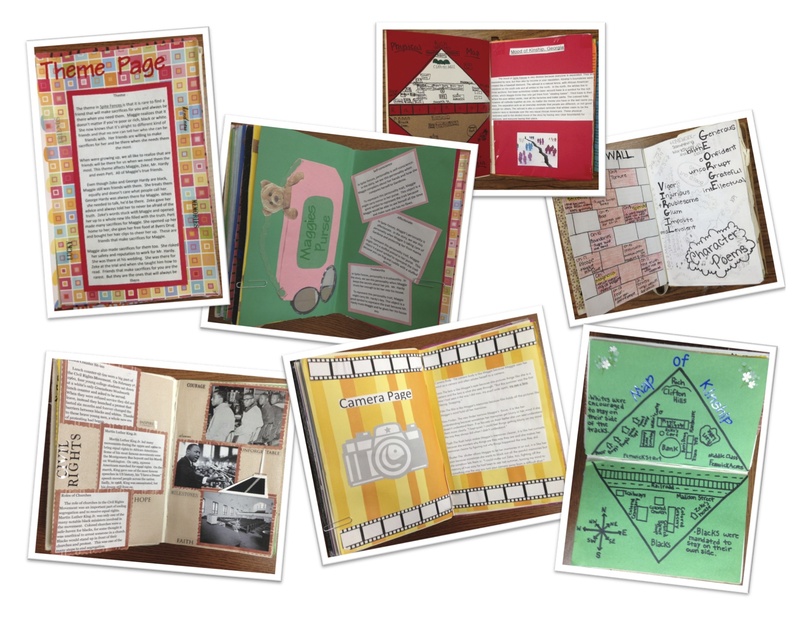 I have been teaching this novel unit for the past 7 years, and I always see a tremendous amount of growth in my students – I just love this unit, and it is the perfect way to end our 8th grade year! 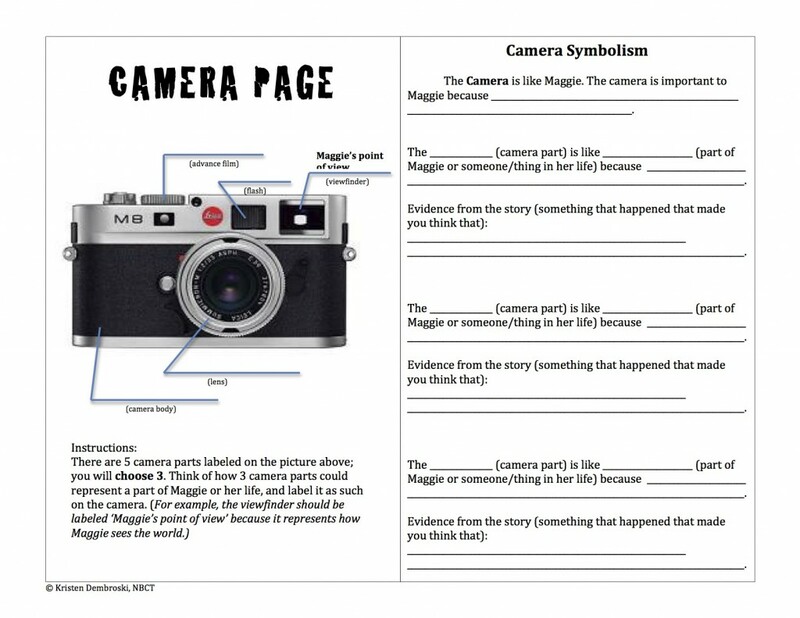 We find so many ways to make cross-curricular connections between Language Arts and Social Studies with this unit. The novel is about a 13-year old girl named Maggie Pugh who lives in a small Georgian town in the 1960s. She is poor, white, and the victim of abuse from her mother and next-door neighbor. She is at the age where she begins to notice things – facilitated by the gift of a camera to help her ‘see the world’ – and she questions the segregation and customs in her town. Because this novel is historical fiction, it is filled with references to important Civil Rights Era people and events. Since Maggie is a very bright young girl, and also a bit of a tomboy, my students don’t view this as a ‘girl’ book – in fact, my boys really love it and demonstrate much growth in their critical evaluation skills while reading/discussing this novel. The magic of this novel is that it is the perfect piece to help students begin to discover figurative language. Spite Fences is rife with challenging language and thought-provoking questions about morals and real-world conflicts. It investigates important themes of human rights, dignity, faith, coming of age, and staying true to one’s beliefs. My students become outraged by many of the events, and we have very lively classroom discussions. There are so many subtle hints and hidden treasures that only a discerning, critical reader will catch. When I point out that the ‘fence’ represents oh-so-much-more than just a wooden structure, and that it is 6 feet tall, made of pine (::cough:: casket ::cough::) the students are mesmerized by the layers of depth and meaning. My only lament is that this novel is no longer in print, but can be purchased second-hand or as an ebook. I still have paperback copies that I plan to use until they fall apart! This powerful 1994 documentary brings the Civil Rights movement to life and helps set the stage for this historical fiction. 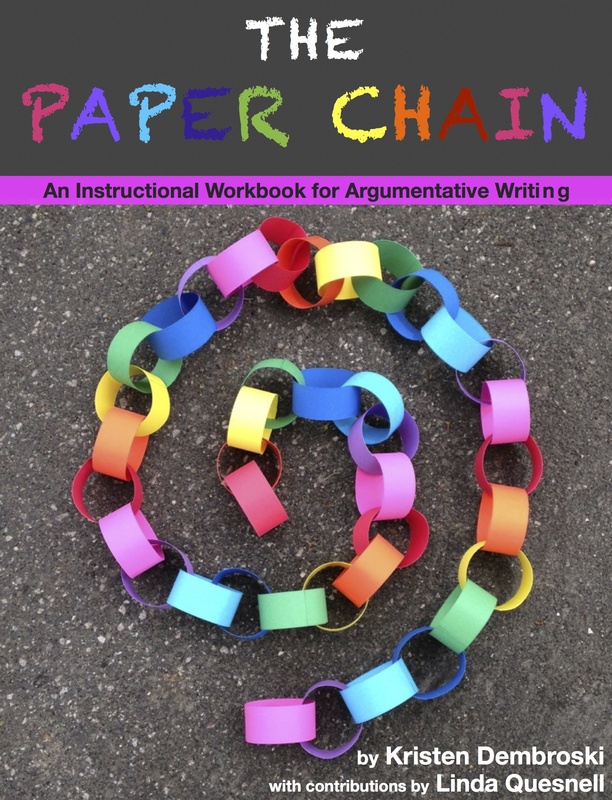 The best part is – you can order this kit (DVD + Lesson Plans) for FREE! 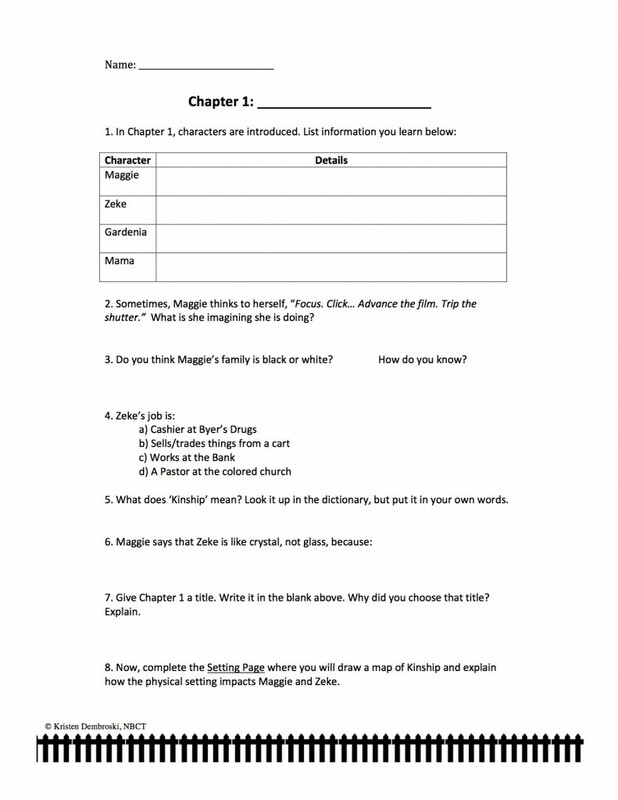 The Spite Fences Unit also includes a chapter-by-chapter reading guide with questions that range in type and complexity from inference to critical thinking, multiple choice, true/false, fill-in-the-blank, matching, and open-ended short answer questions. This unit is great for end of the year test prep by providing students with a wide range of possible reading response questions. An answer key is included. While reading the novel, my students also complete a fun reading response project. 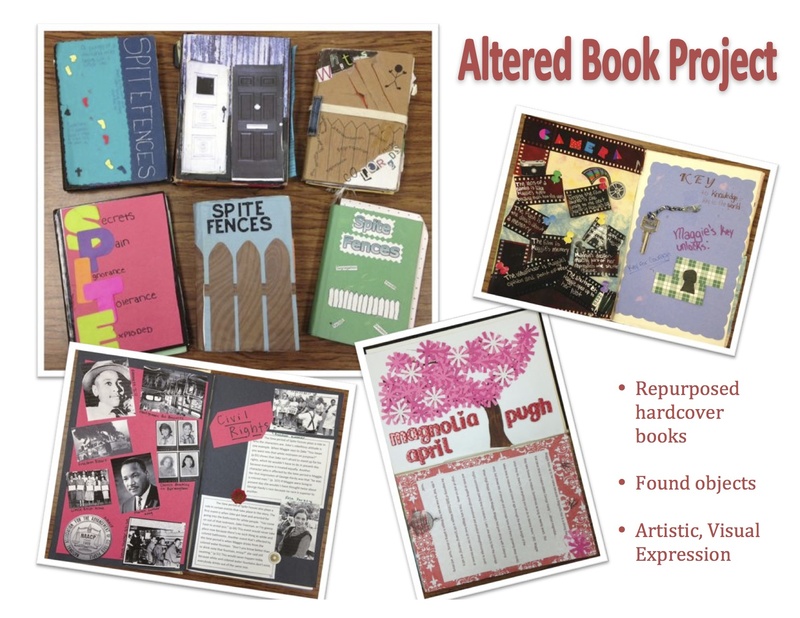 They create an Altered Book (or Scrapbook) that includes 9 ‘pages’ or installations. What we do is find some old hardcover books to repurpose by glueing or writing new things into the pages. If you are interested in purchasing this unit, click here! I can’t wait for 4th quarter to start our final unit of the year – my favorite! I am very curious about the Spite Fences Altered Book unit you have done. What is the cost of this unit and how do I go about purchasing it? Hi Diana, Thanks so much for stopping by my blog! I love this unit, and I’m so excited when other people discover it, too! You can purchase this unit on Teachers Pay Teachers by following this link. 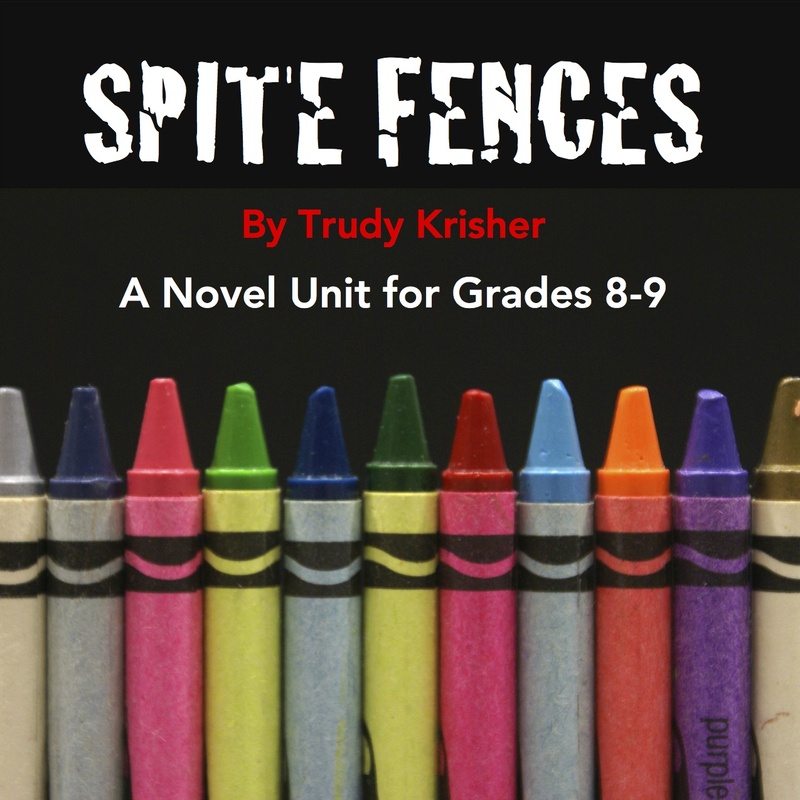 http://www.teacherspayteachers.com/Product/Novel-Unit-Spite-Fences-Grades-8-9-Reading-Guide-Response-Project-Writing-678662 The current price is $8.99. Once you purchase it, you go to “My TPT” in the top right corner and you can download it immediately. Thank you so much, and have a great day!